I have been too busy with projects and school work to do an outfit post, I finally had time today to take pictures and here is the outcome. 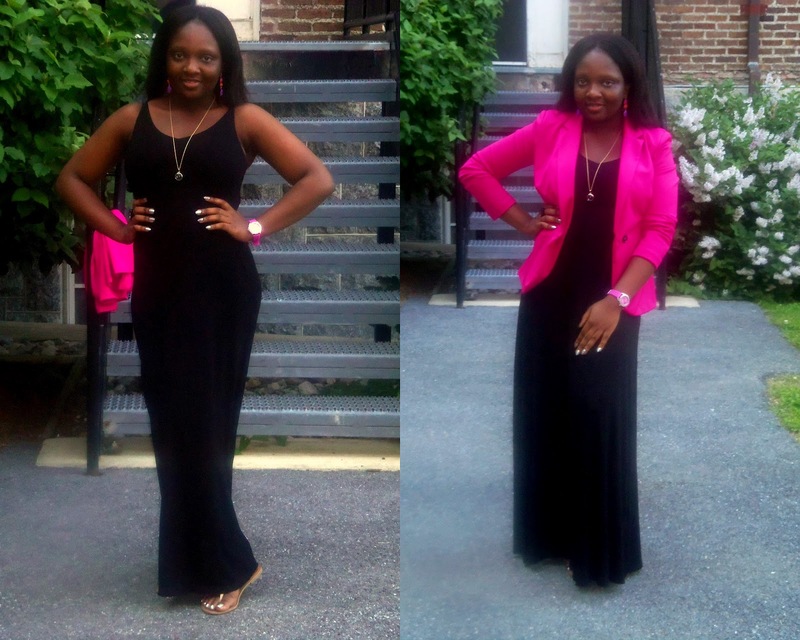 My outfit of the day is a comfy black maxi dress and I paired it with a pink black and some fun accessories. Maxi dresses are my go-to pieces for Spring and Summer. You can pair them with blazers, denim shirts or vest, scarfs and even crop tops. I will be doing many more outfit post with maxi dresses. Remember the sandals from this post (HERE), I love them. Isn't this earrings such a fun accessory bursting with colors? Thanks for visiting my blog, Have a great rest of the week! Pictures taken by my roomie, Marie.